The Vision 3 offers unparalleled levels of comfort and vision to the wearer. 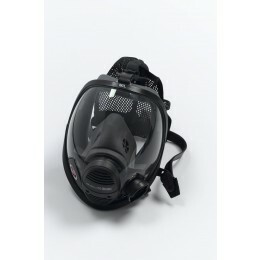 Available in 4 sizes with a range of head harness and port options, the Vision 3 range can be used with any of Scott’s breathing apparatus sets. Injection moulded liquid silicone outer seal provides a great fit and comfort. Rubber and net head harness options available. 4 sizes available to fit the widest range of face sizes. Torodial visor provides excellent vision. Can be used with Scott’s communication range.